It’s happening again; the carefully-crafted vignettes are disappearing into swirls of bubble wrap—or wads of rumpled Target bags and crumpled drafts of my writing, as the end draws nearer. 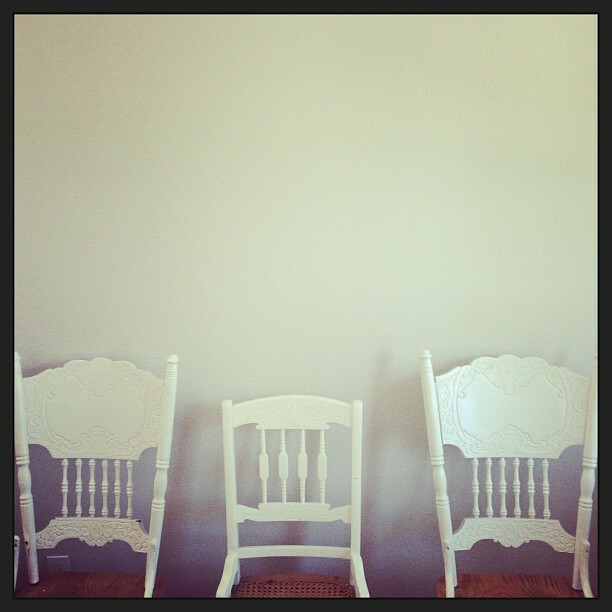 The dining table is sold, leaving a line of chairs against an empty wall (the bookshelves went, too). The dogs wander through the emptying rooms, seeking shelter from the chaos beneath pieces of furniture that shift and move without warning. It’s easier this time; almost exactly a year has passed since we did this last, carting boxes in instead of out, imagining ourselves into this life and this house rather than tucking it all away as we move towards a more uncertain future. I pull the knickknacks from the mantel without the sadness I felt last year. I’m thinking of the peonies that would have just finished blooming behind my tiny white house in Madison, but nothing catches at me here, at least not yet. I planted alliums in the fall and watched them bloom, knowing that we’d be gone by the time they came around again. And that felt fine.